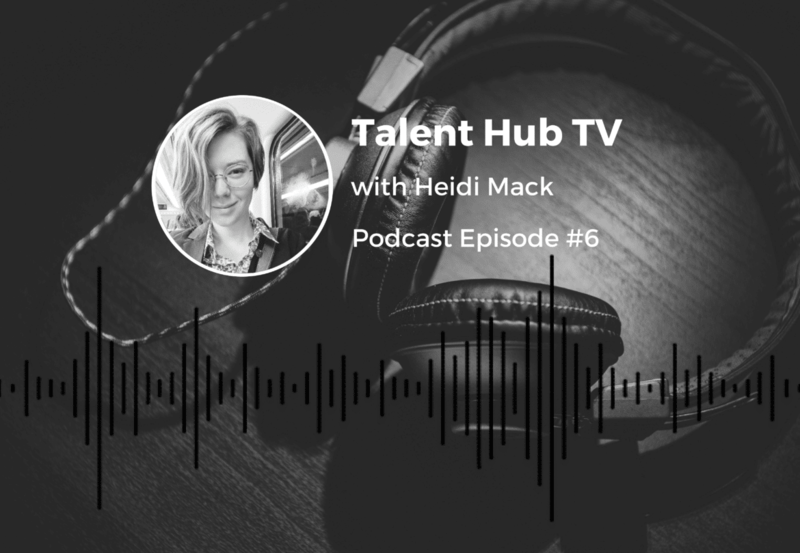 Talent Hub is proud to introduce a Podcast version of the sixth episode of the Talent Hub TV series. Here, Talent Hub Director, Ben Duncombe sits down with Salesforce professionals and thought leaders to learn more about their fascinating stories and market insight. Heidi Mack joins Ben to give insight into her inspiring story, explaining how she made the career move from Sales and Customer Service to Development, through the discovery of Salesforce. She shares with Ben how she originally became involved in the Salesforce space and what steps and skills specifically have helped her. Talent Hub Director, Ben Duncombe, chats diversity, equality and inclusion, the Consulting space with Heidi, and her exciting goals for the future. Ben: Hi and welcome to Talent Hub TV Episode 6. We’re here with Heidi Mack today. Heidi’s got a really interesting story, coming from a Salesforce user background around two years ago, into Salesforce administration, development, and now moving into the Consulting space. So we’re keen to hear more about that journey, how you’ve done it, and I guess, things around the Consulting space and what enticed you into that field. So could you tell us a little bit about your background, and I guess what you did before Salesforce? Heidi: Yeah of course. I initially studied Computer Science at University for a few years, among a couple of other different subjects, but finding that academic life wasn’t really for me, I ended up dropping out and I ended up in a series of Customer Service jobs. After a while, I was starting to get noticed as somebody who kind of thinks through problems, in more of a depth and focuses on what the business needs, what the customer needs, rather than just what I need to do to get to my job done. You know, eventually that got me the notice of one of the members of the I.T team, on who, discovering that we had somebody with a Computer Science background, was actually working in the Call Centre, made a note of me for later, when an opening came up, she decided to bring me into the Salesforce team. Even though I had no knowledge of the platform, she thought it was worth the time to to get me trained up and ready to go. Ben: So had you ever thought about a Salesforce career, because you were a user right, so you understood the platform from a user perspective, had you thought about this might be a cool career and I might be able to use my background? Heidi: I hadn’t ever really thought of Salesforce as distinct from a larger I.T role. I didn’t have any kind of understanding of the ecosystem at that point, so the idea that there would be businesses around the country that we’d need people in, well, around the world, that would need people in specific roles and specific teams, whose entire job would be Salesforce, had never occurred to me before. I always assumed it would be, you’re a back-end developer, you’re a front-end developer, or something like that, never that I could get a start in I.T by doing something that was essentially just clicking around on a screen, no different than my customer service work. Ben: Yeah sure, so were you at that point still wanting a career in tech, or was it just so happened that someone knew that you had some skills that were transferable and gave you the shot? Heidi: I considered at several points whether it might be possible to make a jump to tech, I had a lot of loose plans about, perhaps if I had built up a portfolio showing that I was capable of the work, even if I didn’t necessarily have an academic qualification, but it had never been anything concrete, it had always felt like something that was out of reach, particularly because you know, university drop out background doesn’t really look good on a lot of CVs, so I was worried really, that I would come to a tech environment and simply not be able to gain any traction because of my lack of experience and essentially lack of a qualification. Ben: Okay so without that kind of, someone coming to you and saying, we’ve got this opportunity, you could do it, you could still be working in that Customer Service function? Heidi: I like to believe I wouldn’t still be answering phones at this point, but yeah, no, without my then manager, Dorit Lederman, essentially offering me a hand up out of work that I was good at, but underutilised in, into something that I think really brings out the skills that I have to offer to both business I was working for, and now hopefully my client business as a Consultant. Ben: Ok so you went from being a user to now being an Admin, how did you approach that, what was the way that you kind of best learnt becoming an Admin, and then getting amongst it? Heidi: So initially when I started off with the Salesforce team I was just doing the basic tasks while I learned the ropes, which was merging accounts and setting users up when they came into the system and deactivating them when they left, which was, you know good basic work to kind of get a feel for, these are the core concepts, but most of what I did to skill myself up, was a combination of some Trailhead modules, but largely going to the sandboxes that we had, and just goofing off with the customisations, seeing what I could change about the system and how that made the system work differently. I think the first change of any significance that I actually deployed where some modifications I made to our internal ticketing system for the Salesforce team, eating my own dog food is it was, I made some modifications to the way we were organising our queue, the way we sort of thought of our cases coming in and our ETA and I’d like to believe that they’ve made a pretty significant change to the way that team does business. I know that when we later went through and really did a deep dive into how we could be helping the internal stakeholders better, having that dating system and that way of thinking about when we needed to next help the end user, was critical. Ben: Do you think your experience as an end-user has benefitted your career as an Admin? Heidi: Yeah absolutely, I think because the pathway to a lot of I.T jobs is coming straight out of university and straight into an I.T position, it’s very rare that people in I.T will have an appreciation for, I guess, the volume people are dealing with in the system, so I hit a point in customer service when it was really nailing my KPIs and my boss asked, you know, what I needed to do even more than I was already doing, and I said at that point that the only thing that was holding me back was the load times between pages, and in I.T, load times between pages are just a number. So yeah, it takes five seconds, no way, they enjoy not having to speak, but being a customer service user, I could tell you that just a delay of even a few seconds of the page loading, even one second, in some situations, between actioning something and having the screen respond to you, that is killer to your rhythm, and it not only detriments your KPIs, and your team’s KPIs, and the business’ bottom line, it just really ruins your day sometimes, and so coming from being just a high-volume user to working in the I.T team, I like to believe that I haven’t really lost sight of, there is a person at the end of everything I deploy, and there has to be a component of my work that is about that person, because I’m programming for people, I’m not programming for the computer. Ben: Sure, so you spent a while as an Admin, designated Admin, that was your focus, and then started to transition into a development role as well over time. What was the thinking behind that, is development something you knew you wanted to do straight away? Heidi: Well I’d raised pretty early on, that I did enjoy the more technical aspects of the work, hence again, my boss Dorit was fantastic at sort of recognising potential, and ensuring that I had the resources to at least, and the time, to experiment with something. But it mostly came from, the work I was doing hit a point where I couldn’t do the thing that I wanted to, because, not because the interface was limited, but because I couldn’t understand all aspects of the problem unless I understood the code as well. So I transitioned from, kind of just having a copy of the code base on hand so that I could search through and look for some relevant information, to using that information to do some more advanced troubleshooting, and this is just me as an Admin, and from there, once I thought I had a decent understanding of what was causing the problems, it wasn’t long before I was just goofing off in sandboxes again, tinkering around with the code and seeing what I could make, what I could change. Ben: So from your experience, and everyone’s different obviously, but from your experience, getting into a sandbox and just playing around and seeing what you can solve or what you can come up with, has that been the best way for you to learn to develop? Heidi: I think that, and sometimes we get caught up in saying that there’s a best way for us to learn, and I don’t think that there is, I think there’s a good mixture of ways to learn, so as easy and amazing and user friendly as Trailhead is, and all of the developer resources that are online for Salesforce, I needed to start by just playing around with the user interface, otherwise all of the words on Trailhead, I could have read an entire textbook, and not told you what a single thing in there was because until I can play around with it with my hands, it’s not real to me. But by the same virtue, if I was just goofing off in a sandbox, I wouldn’t be able to tell you what a static tag on a method meant, I wouldn’t be able to tell you what transient variables were in a Visualforce pages view state. It’s finding the proper balance for you. I think goofing off in a sandbox is the best thing a person can do to start, you know in any Salesforce role, but absolutely rely on those Trailhead resources, your success community, your partner community if you’re lucky enough to have access to that. Yeah it’s good to take advantage of all of the resources. Ben: Sure, so you studied I.T and development and at some point, you’d done some development in the past, so then moving into a development role now, do you think that’s feasible for people that haven’t done that study or don’t come from a development background at all? And can more Admins become developers in your opinion? Heidi: I think more can. I think I definitely had a significant advantage, both in that I had some existing exposure to all of these ideas but also that I have a lot of patience from my boss and a willingness to give me time to upskill myself, and even at one point paying for full-on developer training, which I think if you go through that week-long course that Salesforce offers, and don’t come out feeling confident with your code, then you probably weren’t paying attention because the teachers that they have and the material that they go through is absolutely fantastic at getting people skilled up. In terms of, you know, more Admins becoming Developers, I think that it doesn’t even necessarily need to be a case of more Admins should become Developers, it’s more Admins should feel comfortable with the code. Particularly as we’re moving into the Lightning design system, more than ever we are kind of blurring the line between what is a click and what is code. You’ve got all of these Lightning components that are super easy to deploy but they’re also super easy to build, and I think if more Admins at least learn to read the code that was involved in the components, they would probably feel quite confident in just putting together a couple themselves and seeing how they play, but for me when I was still, just not an Admin-eloper or a Developer..
Ben: Admin-eloper, I like the term. Heidi: Have you not run into that one? I forget who told me it but it’s very good. But yeah, just being able to read the code made me better at troubleshooting, it made me better able to tell the consequences of the actions that I was taking like, like the first reason that I wanted to look at the code, was we had some old fields that were not being used, and I wanted to delete them, but I was terrified that I would delete it and I would break something because there was an entire part of the system that I just didn’t have eyes on, having access to the entire code base, being able to basically just control F API name, and find out, yeah here’s exactly where the field’s used, here was, from just looking at the code, this is why this field existed, and now I could tell, here’s what it was involved in, tell the business what the process was, and just ask permission, can I get rid of this field it was a part of these modifications. Ben: Okay. So Dorit saw something in you and gave you the opportunity and we’re in an incredibly candidate short market and so I’m sure there’s some more hidden gems like yourself, that given the opportunity, can flourish and go on this career path that you’re now going on. So what do you feel, other than the I.T background that you had, what do you feel people should look for in potential candidates, potential hires, aside from just Salesforce experience? Heidi: I would say that your first resource should be the people that you already have in the building. Look to particularly your high volume teams, I wouldn’t say that every customer service user is going to make a great Salesforce Admin right out of the gate, but I would be willing to bet that there is somebody in that team that has a phenomenal potential that they are simply either not able to apply to their current job, or that the business has basically told them is not relevant to the work that they’re doing. In customer service, I’ve met some people who are who are quite comfortable with the role that they’re in and they’re happy to be there forever. I’ve also met some people who were Aerodynamics Engineers who just couldn’t find a job in this market, so look to your internal teams in terms of like, other skills that apply well to Salesforce work. I think anyone who’s studied Philosophy in University is going to turn out to be super useful because the underpinnings of how logic works and thinking about things in that way, is going to be vital going forward. Graphic Designers are going to be incredibly useful and it’s very easy to get them skilled up to a point at which they’ll be very good at designing user interfaces and user experiences that are particularly good. In terms of just like, hobbies, I would say look for video gamers because there’s a native understanding to what makes a good user interface there, and there is also just a willingness to problem-solve, and I think that’s kind of a fantastic thing to come out of video game culture, is, just a willingness to believe that every problem has a solution. Nobody would have given you a problem that couldn’t be solved, so you just have to get creative, you just have to look at all of the tools that you have and figure out the right combination of putting the rubber chicken with the pulley together, and then it works. Ben: Sure okay yeah for sure. So, Consulting now, obviously it’s not been too long, you’ve been in Consulting for a couple of months. What was it that interested you about Consulting, and how are you feeling about it? Heidi: Good, so far. It’s really engaging to be part of a team that’s super driven about what it’s doing, but the lead reason for moving across was mostly because I started to feel like I was pushing up against a point at which I knew I could grow faster if I was in an environment where I was dealing with lots of different problems of lots of different varieties, I absolutely could have continued to grow in the world that I was as a Developer because Salesforce is so big of a platform, and with any substantial implementation you are going to have things to do for the rest of your life, but in order to, I guess, become the best Salesforce professional that I could, I needed to see how other implementations were put together, I needed to understand the full scope of the process, not just the BAU stuff, and ultimately I, very selfishly, I would like to at some point be a bigger part of the Salesforce community and I kind of felt like as one Developer for one company, that would be hard but as a Consultant, who has the ability to touch on clients, you know, from any part of the country, or hopefully one day, the world, I would have the knowledge and have the experience to contribute more to the local communities. Like being able to speak up at the Sydney Developer user group, for hopefully being able to give a presentation at maybe a Downunder Dreaming, at some future point. So yeah, Consulting for me, was mostly about becoming the kind of resource that people would want to listen to. Ben: Okay, and what do you most enjoy about the whole Salesforce ecosystem, everything that happens in this space, and what would you get out there I guess? Heidi: It’s mostly that there is nothing quite like the culture of sharing and the culture of bringing people into the fold and teaching them how to do this stuff, and I have never met a Salesforce professional who wasn’t willing to just drop everything and show me the codebase and show me exactly the cool thing that they are working on this week. Salesforce themselves as well is really pushing boundaries when it comes to things like equality in the workplace. I am just floored with their ability to walk the walk, with, I think it was last year that the CEO Marc Benioff is basically picking a fight with the state of Indiana over homophobic laws and as a queer woman in tech, to see a CEO of a major company so unafraid to challenge existing power structures in defence of people, of human beings, that makes me feel like I’m in the right place and makes me think I’m probably doing the right thing. Ben: Yeah you couldn’t find a better CEO right, the causes and the way that he backs and believes in the right things and he’s happy to push through with them and put his name behind things is great. Heidi: Yeah but to give a shout out to the company that I’m working for, our new CEO for Capgemini Australia, Olaf Pietschner, he’s actually going to stand up to be the executive sponsor for the internal LGBT support group. I’m impossibly psyched about that. It’s super great to see in a CEO, let alone any executive. Ben: Yeah for sure, so what’s next for you, where’s your career heading and what’s the end goal with the Salesforce space? Heidi: I think for the moment, being a good Developer is kind of top of my list. Moving forward, I’m starting to poke at the architecture path. I would like to be involved in more of the journey than just fixing individual pieces and building individual features, I would like to sort of consider the whole platform. Beyond even architecture, I would like to hopefully be involved in training, to be able to help out people like me who started with no knowledge of what Salesforce was at all, and come to a point where they feel they can teach other people. Ben: Yeah for sure, well it’s exciting, I’m sure you’re going to achieve everything you want to, you’ve achieved a lot in the two years you’ve been working in the space and we’re excited to see how things develop. So thank you very much for your time and I’m sure that our audience will find that really useful. Heidi: No worries, thank you!